Kathy's real estate belief is: For Family, For Wealth, For Life! Service to her buyers and sellers is top on her list. Buying or selling is one of the biggest decisions anyone can make, Kathy's top priority is to be sure clients understand the real estate process to make the right informed decision. 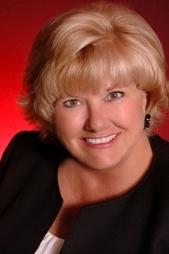 Kathy joined RE/MAX Lake of the Ozarks in 2005. She was originally from Overland Park, KS., moved to the Lake in 1998. Kathy's proud to be with Team Jane Kelly the #1 Team in RE/MAX Mid-States Region for the Highest Sales Volume for a 12 year period. Kathy was voted by all Real Estate Agents in 2013 to serve on the Board of the Convention and Visitors Bureau and re-elected in 2015 to serve another 3 years. In 2014 elected to the Executive Board as Treasurer of Convention and Visitors Bureau. Kathy is currently serving on the Bagnell Dam Board of REALTORS® Education Committee. It would be a pleasure to help you with any of your Real Estate needs buying or selling it makes no difference Kathy enjoys it all! We have used Kathy on three occasions and the experience is always top notch. She is dependable, extremely knowledgeable and so wonderful to work with.